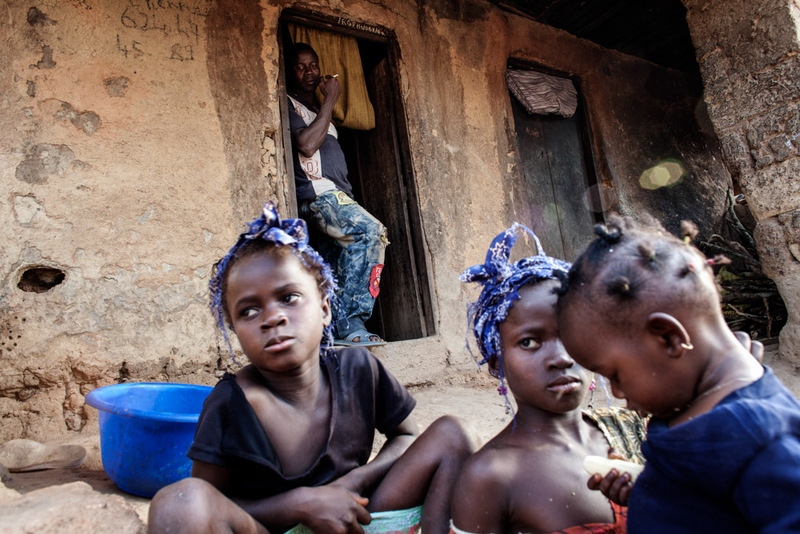 Etienne Ouamouno, 31, watches his daughters Marie, 6, Seyou, 7, and Kane, 2, (L to R) outside their home in Meliandou, Guinea on January 25, 2015. Meliandou is starting point of the Ebola epidemic when toddler Emile Ouamouno was the first to die from the virus in December of 2013. Since then 15 people have died of Ebola in the small village leading 200 people to flee since the start of the epidemic leaving 400 people. What was once a prosperous farming community, most now live in hunger unable to tend to their fields of mainly corn, palm and coffee.